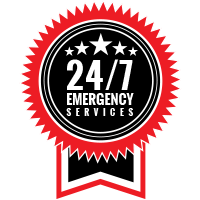 Garage Door Repair Indianapolis: Why Isn't Your Garage Door Working? Why isn’t your garage door opening and closing like it should? #1. Something is in the sensor’s path. As the largest moving piece of equipment inside your home, your garage door has a lot of potential for danger. Garage doors can exert a great deal of force, and it’s important that they will reverse their path if something, or someone, gets in it. 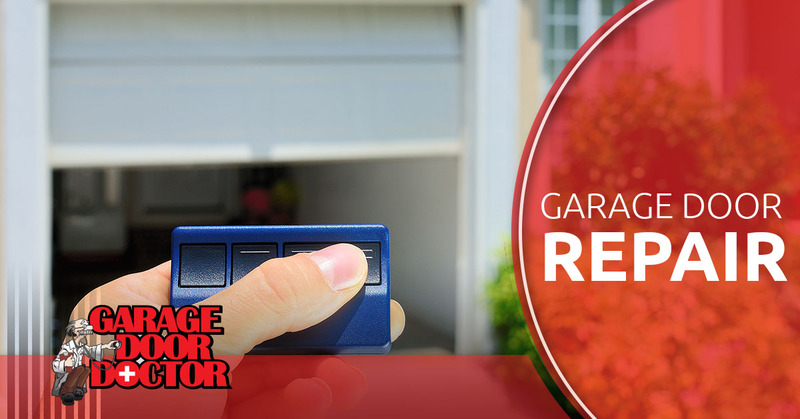 In 1982, garage door manufacturers started adding automatic reversing mechanisms to every door, and in 1993, federal law began requiring that they also include photoelectric eyes that would reverse the door when anything entered into its path. When your garage door won’t close, the first thing you should do is make sure that the path of those sensors is clear. #2. The photo eyes aren’t aligned properly. In any garage door made after 1993, there are two photo eyes that are aligned on either side of the entrance. An invisible beam is transmitted between the two eyes, and when something gets in the track of that beam, it causes the garage door to reverse. Either of those two sensors could get knocked out of place, and if one sensor cannot connect with the other, it’s designed to act as if something is in its path, and your garage door won’t close. The two sensors have to be lined up exactly in order to work correctly, so if one of yours becomes misaligned, you might need to use a laser level to correct the issue. #3. The batteries in your transmitters might be dead. Garage door transmitters, or remote openers, are battery powered, and like any batteries, they can die. When your garage door won’t open or close, changing the batteries in your transmitters might be a good place to start. But first, try all of the transmitters you have, including the one you have on the wall inside of your garage, as well any you have in your vehicles. If one of them doesn’t work, then it’s pretty clear that you should replace the batteries, but if they all don’t work, then you’ve probably got another kind of problem on your hands. #4. The disconnect switch has been enabled. When you try to open or close your garage door, does the motor run, like it always does, but the door doesn’t move? If so, check to make sure that the disconnect switch has not been enabled. Every garage door opener is equipped with a disconnect switch, and in most garages, you enable it by pulling a rope or turning a knob on the underside of your garage door opener. This switch makes it possible to manually open and close your garage door in the event of a power outage, but it can accidentally get unhooked, disconnecting the motor from the garage door. If you’ve found that your disconnect switch has been enabled, simply open your garage door completely and then reattach the hook. #5. The springs are broken. 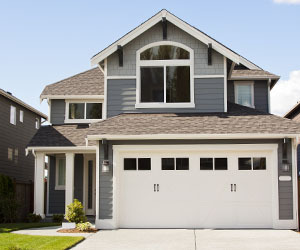 Garage doors utilize springs that make it possible for them to close slowly. Without these springs, garage doors would slam shut, making them a safety hazard to anything or anyone underneath. Garage door springs will usually last about 10,000 cycles, which is typically between three and five years. A garage door can last up to three times as long, so broken springs are a pretty common problem. If your garage door has slammed shut, then there’s a good chance you have a broken spring on your hands. Do not attempt to try to replace a garage door spring on your own. These springs hold enough pressure to support the entirety of your garage door’s weight, and they can cause serious injury, or even death, if they are handled improperly. Always call in a professional for broken garage door springs, and make sure that you avoid trying to open or close your garage door until the spring is fixed. #8. The limit settings weren’t properly programmed. Every garage door has its own limit range. This range is the distance your garage door has to travel in order to be fully closed. If the limit range settings are higher than they should be, when you close your garage door, it will hit the ground before it thinks it’s closed, and then reverse, assuming something is in its path that shouldn’t be. In most cases, this issue only ever arises with new garage doors, but over time, older models may need to be reset as well. #9. The power source has become disrupted. Your garage door opener has to be plugged into a working outlet in order to open and close your garage door. If it becomes unplugged, or if the circuit breaker gets tripped, your garage door won’t work. To make sure the outlet is working, try plugging something else into it. If it’s not working, then you already know what the problem is! As you can see, in a lot of cases, you can tackle a garage door that won’t open or close on your own, but if a spring is broken, or none of these problems apply to your situation, don’t hesitate to give us a call! 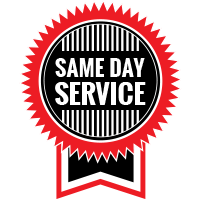 We offer garage door repair in Indianapolis and the surrounding areas. Contact us today for your free quote.